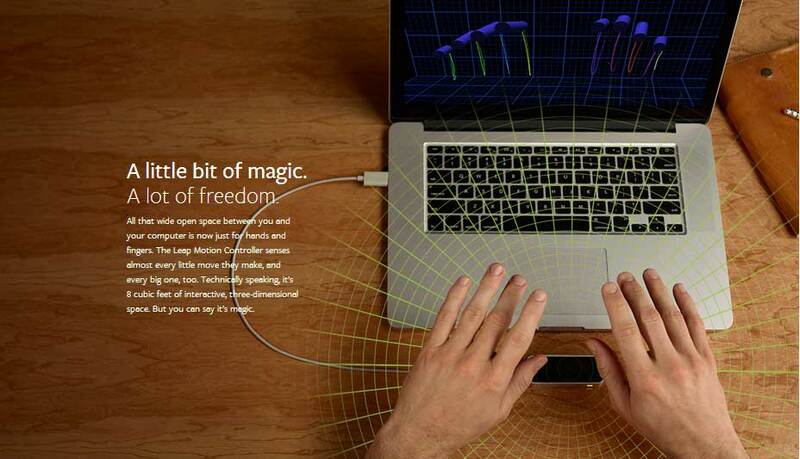 Leap Motion is a hand movement recognition device that has some huge potential to say the least. The Leap Motion Controller can track both hands and all 10 fingers with incredible precision, and it has super fast response time. It can sense how you naturally move your hands and can let you do stuff that you must have dreamt of at some point of time. You can point, wave, reach, grab or pick up something or move something on the screen. Whatever you do outside the screen results in whatever you do in virtual reality of the computer screen. So what can you do with this device? You can browse the web, read articles, flip through photos, and play music just by lifting a finger. You can draw, paint, and design with your fingertip. You can even use a real pencil or paintbrush. Slice falling fruit and shoot bad guys with your finger. Steer cars and fly planes with your hands. Sculpt, mold, stretch, bend, and build 3D objects. Take things apart and put them back together. Reach into the universe, grab the stars, and soar around the sun. It’s a whole new way to learn. Pick, pluck, strum, and drum. Play air guitar, air harp, air everything. So how good is it actually? It can track all 10 fingers up to 1/100th of a millimeter, which is so precise that you can draw or painting in a 1” mini cube. Having a super-wide 150 degree field of view and a Z-Axis for depth, you can move your hands in 3D which allows you to reach out and grab objects, move them around or even change your perspective. The Leap Motion Controller can track your movements at a rate of over 200 frames per second, which lets you do stuff in your virtual reality in real time! All these features are packed inside a small sleek looking box of 3 inches long. It has a dimension of o.5 x 1.2 x 3 inches and a weighs a mere 0.1 pound. Its compact size lets you put it anywhere in your desk as it doesn’t take up any of your space. Priced at just 99.99$, it is a must buy device.